We are a team of health, fitness, and wellness advocates with years of experience and foundation rooted in physiotherapy, rehabilitation science, massage therapy, exercise, and anatomy. We're passionate about helping you achieve your movement goals, rehabilitate you to function, and assist you on your journey of lifelong pain-free mobility. Rehabilitation, injury recovery, restoring function, and optimizing performance is at the core of what we do. We offer a range of services to achieve these means, including physiotherapy, massage therapy, acupuncture, and custom bracing. We believe in investing in your body and approaching physical health and wellness as a lifestyle, inclusive of injury prevention education, corrective musculoskeletal exercises, and developing strengthening and conditioning habits. Peak Form Physiotherapy is located at 515 Lakeshore Road East, part of the new District at Lakeview community near Port Credit in Mississauga. Our space is bright, modern, and clean, and we welcome you to come visit for a tour of the space and to learn more about what we can do for you. How can physiotherapy help treat TMJ disorders? 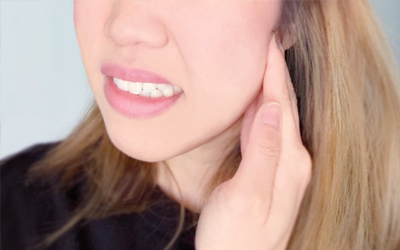 Our treatment for TMJ encompasses two main goals: firstly to relieve pain and stiffness of the joint and surrounding area, and ultimately to restore or increase function and mobility of the jaw. 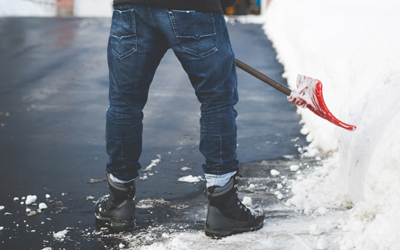 With the recent deep freeze and snowstorms, there’s no doubt that many of us have had to brave the cold and shovel the snow. We pride ourselves in providing quality one-on-one care that is personalized, patient-specific, and goal-oriented. We believe in health, wellness, and lifelong pain-free movement. Copyrights © 2017 All Rights Reserved by Peak Form Physiotherapy.